Transparency, Accountability and Democracy can seem like a protective triumvirate for public decision making, but these can easily turn shallow, demotic and false. I have seen the future, and I want to go back to bed. Recently I attended the first working meeting of our GP Clinical Commissioning Group. At the end of a working day, dozens of GPs sat with mostly fatigued and bovine obedience as we were guided through some power-pointed slick but humanly-dull portrayals. First of our barren yet hazardous current financial terrain, and then the administrative and constitutional complexities of the organisation we have been corralled to devise, our Clinical Commissioning Groups. The obedience was due to an unspoken ultimatum: manage or perish. The new commissars – like Emperors’ messengers – did their best to sound determined and positive. But their efforts sounded to me like staged postures of will rather than currents of real enthusiasm. The complexity of the topics was more than most of these tired GPs could readily engage with or assimilate. Deadened eyes and slumped postures indicated bodily presence but mental absence. Be present or be disappeared. After being given this map of the new order we were set our first task: to decide on which local healthcare problems we should prioritise. We were all sat at round tables of about ten doctors; each table had a predesignated leader. Each person was given the same paper-list of thirty healthcare problems with brief explanatory notes as to their putative importance. All groups were instructed to peruse and discuss this list and then, individually, to choose the four we considered more important, and then rank them. Each person then clicked buttons on issued electronic devices to silently transmit their ranked choices. 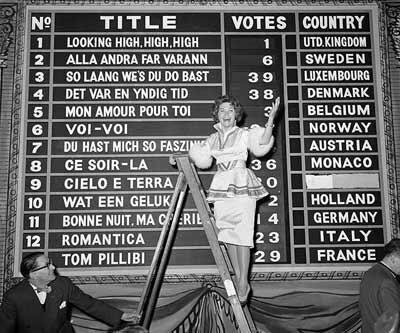 A giant electronic smart-board quickly collated and summarised the top four ranked and collectivised priorities for all participants. We were given twenty-five minutes to reflect on, discuss and decide from among these thirty healthcare problems. I was uneasy with this. To me, all of the problems had interesting and hidden complexity, and also unobvious connections. To any one of them I could extend hours of exploratory thought and discussion. But this is agribusiness, not organic farming; and our professional tables have become like cattle-pens. Quick herding and milking is what is required. Intelligent discussion is an irksome and irrelevant procrastination. Prompt and quantified results are the goal. I demur, attempting to point out that this ingenious and rapid mass-choreography is discrepant with the subtle complexity of the tasks. But I am sidelined as an eccentric anomaly because by now the computer is proclaiming the GPs’ collective decision. And the chairman – an affable, gracious and intelligent man – now has a nervous stage-smile as he constructs some kind of blessing for us all and our new project. Bingo! We have Majoritarian Healthcare. I understand the chairman’s attempted glow of beneficence. He had carefully planned and completed this first step onto the new staircase to locality democracy: one based on transparency and accountability. Yes, I respect the intent behind this, but doubt what it yields. For these tired and over-multitasked GPs are slewing into speedy, whimsical, expedient decisions – responding to a mandate and under time constraints. They are making such judgements, and in such a manner, because they are told to not because they want to or have felicitous wisdom. Also, importantly, they want to go home. Everything has its price. Sometimes we do not want to see the bill. Yet someone will have to pay. How did our Health Service work before such attempts at internal markets and local autarkies? In the older, more federal, more macro-socialist system – say thirty years ago – who decided priorities and payments? And how? It seems to me that few knew then, and far fewer know now. As a young practitioner I had a few glimpses that formed an impression that has since been subject to decades of decay. Yet some recent archaeological research supports my memories. My recovered impression is this: the NHS was run by wise Mandarins. These were usually experienced, older, intelligent, thoughtful, little-known Civil Servants. They were unideological, though principled. Unpartisan though committed to their task. Non-specialist though could quickly understand the different assumptive worlds. They often provided high quality diligent service for a working lifetime in a world not yet insistent on visible indices of transparency, accountability and democracy. Such an opaque, inscrutable and unelected system lasted for decades: it should have been a scandal. And yet it now looks as if such a potentially incompetent and corrupt regime managed their smaller world with quietly competent beneficence, and with much smaller resources. For me this earlier Mandarin-managed service was – compared to now – a blessing of stability, sense and sensibility, pragmatic flexibility and accessible authority. It certainly was not perfect and there were some stupid or bad practitioners, but the systems were not stupid or bad. The systems now are frequently both, stymying even the better practitioners’ competence, efficiency and humanity. We are now driven by systems with good moral rhetoric but poor human understanding and connection. This is a fascinating and cruel paradox. How do we account for it? Here we must enter the world of speculative, motivational and group psychology – an exploration beyond this writing. The following though – a seemingly unlikely parallel – may be edifying. I present it as a question: Why are Northern European elected Republican Presidents so often corrupt or criminal; by comparison, why are Northern European unelected constitutional monarchs usually so diligent and respected? If we understand this we can perhaps understand a little more of what is most unstraightforwardly important about humankind.